Dutch Project started by Jaap Eggermont. Inspired by a bootleg 12" recorded by Alto Passion featuring The Beatles songs on a disco beat, Eggermont hired vocalists Bas Muys (as John Lennon), Hans Vermeulen (as George Harrison) and Okkie Huysdens (as Paul McCartney) to recreate the medley for official release. Coinciding with the death of Lennon, the release proved a hit not only in the Netherlands, but all over the world. Because of the success, more medley's were produced, including ABBA, Stevie Wonder, Rolling Stones and later, with The Star Sisters, also a 1940's The Andrews Sisters medley. 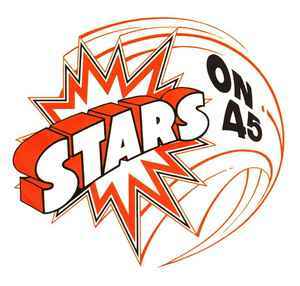 Stars on 45 were named 'Stars On' for the US and 'Starsound' for the UK Market.